This morning on the Andrew Marr show it was great to hear Jeremy Corbyn talking about how a Labour Government would help people with disabilities. 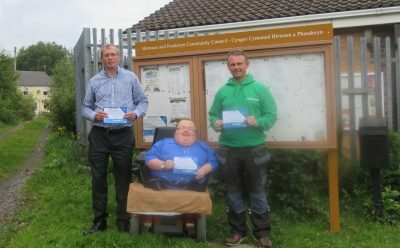 I am appalled at the level of poverty amongst people, particularly people with disabilities. Are you experiencing difficulties financially as a result of the current benefits system, if you are share your stories with us by emailing info@accessible-news.co.uk or share your stories with us on Facebook or Twitter. If you are looking for help and support with benefits, or have other issues as a result of a disability or health condition, come and talk to us. 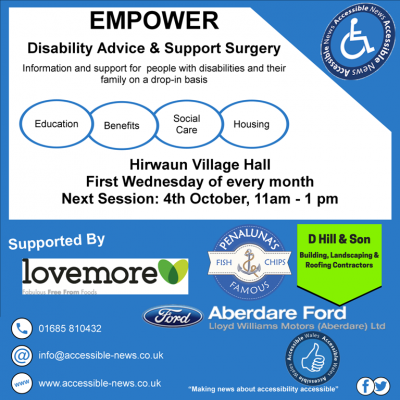 Our next Empower Disability Advice and Support Surgery is taking place on Wednesday 4th October 11am – 1pm in Hirwaun Village Hall.